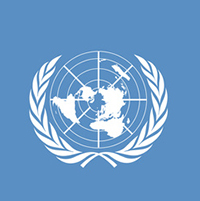 In honor of this very important anniversary date in US history, the date that the US Senate approved US participation in the United Nations, paper # 145528, “UN Peacekeeping Limitations” was chosen as this week’s Paper of the Week on AcaDemon and it is also the paper discussed in Episode 48 of the PYD Podcast series. In Segment One, Dave introduces this fascinating, well-written paper so don’t miss Dave’s discussion or the paper! You also don’t want to miss Segment Two of Episode 48 because that’s where Dave talks about resume writing. He provides important tips, strategies, guidelines, and suggestions for how to write a killer resume so make sure you listen in. Remember that compound adjectives are also sometimes formed from proper nouns. For example, in the phrase, “Disney World Tickets”, ‘Disney World’ would not be hyphenated because it’s a proper noun, even though, in this example, it’s also a compound adjective.